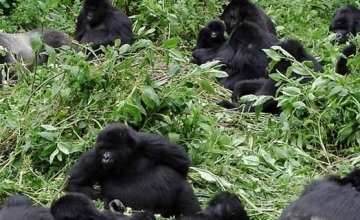 The 14 Days Rwanda safari is a comprehensive safari that incorporates scenery, wildlife, primates (gorillas, chimpanzees and colobus monkeys), recreation water encounters, volcano climbing and culture. The safari takes you through Akagera National Park which is the largest protected area in Rwanda known for its lowland lying savannah combretum that support great deal of wildlife, Butare and Nyanza area with its culture and heritage encounters including the King’s palace, the Nyungwe Forest National Park which is the largest montane forest in East Africa with its chimpanzee trekking, colobus monkey tracking and Nyungwe canopy walks, the recreational water encounters on Lake Kivu, gorilla trekking, Dian Fossey hike , Karisimbi Volcano climbing, Twin lakes walk in the Volcanoes National Park. The safari also incorporates various genocide sites to enable you have an image of what transpired in Rwanda during 1994 horror. 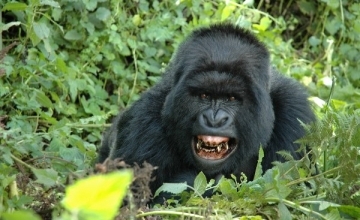 Day 10 of the 14 Days Rwanda Culture & Primates Safari: Do gorilla trekking & nature walk to Lakes Ruhondo and Bulera. Wake up for an early morning game drive to catch up with early risers and nocturnal getting back to their hiding places before dawn. You will be exposed to a range of wildlife including; giraffes, elephant, buffalo, zebra and a range of antelope. Return to the lodge for relaxation at 11:00am till lunch time. In the afternoon, you will embark on the transfer to Butare 247km about 4 hours’ drive to the south of Rwanda arriving in the evening for dinner and overnight. After breakfast, embark on the encounter of Butare with its range of heritage attractions. Visit the Butare National Museum also known as the ethnographic museum which is the largest in Rwanda with over 100,000 artifacts featuring the Rwanda’s past. You will also visit the Murambi genocide memorial to pay tribute to thousands of Rwandese that were killed in cold blood as a result of the bloody genocide considered as one of the catastrophic events that man and entire world encountered in 1994. In the afternoon, you will pay a visit to the Nyanza palace which is the palace of Rwanda Kings including King Musinga and his successor King Rudahigwa. The palace has unique huts crafted in typical traditional Rwandan architecture while the Inyambo long horned cows will impress you not only because of their beauty but also their parade. Attend the traditional performances of the Banyarwanda in the evening. Retire for overnight. After breakfast, embark on the transfer to Nyungwe forest National Park which is the largest montane forest in the whole of East Africa which is 155km approximately 3 hours’ drive from Butare. The drive exposes you to scenic sights of Rwanda hill sides. 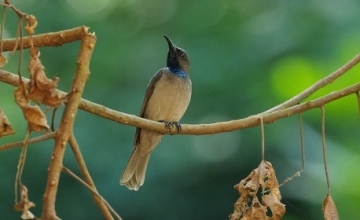 You will arrive early for lunch after which you will take nature walks in the forest along its designated trails that range from colored trails to Mount Bigugu trail which will allow you to explore the natural setting of this mountainous forest environment. Retire for dinner and overnight. Accommodation: You will have dinner and overnight at your lodge. You have a whole day at Kivu Lake enjoying a range of activities that you can choose from including; boat cruise, fishing, cycling, hiking, water sports such as Kayaking, catamaran, Jet Ski and win surfing. In the afternoon, you will transfer to Volcanoes National Park and you visit the iby’wachu cultural village en route to have an encounter with the traditions of Rwanda exploring their architecture, way of life, music dance and drama, handicrafts among others. Continue to your respective lodge for dinner and overnight. Accommodation: Lapalme Hotel (Midrange/standard), Muhabura Hotel (Budget/basic) or Mountain Gorilla View Hotel (Luxury/upmarket). Wake up as early as possible to take breakfast before converging at the Park Headquarters at Kinigi at 08:00am for briefing and eventual commencement of gorilla trekking encounter. The activity of trekking can take 2 – 8 hours thus it is important to carry with you packed lunch. One hour will be allocated to you to interact physically with the gorillas and photos and questions are allowed during this historical encounter. Return to the lodge after trekking for relaxation and in the evening you will take a nature walk to the lakes of Ruhondo and Bulera and the impressive Russumo falls. You can also opt for a boat cruise on Lake Ruhondo. Retire for overnight. Embark on the two days climbing encounter on Mount Karisimbi which is the highest of the eight volcanoes that comprise the Virunga massif. Karisimbi is 4,507m above sea level and it takes two days round trip. You climb to a considerable height on day one about 3,000m and then on day two, you summit it and then descend back to the starting point. Its summit offers impressive views of the adjacent and distant areas of Uganda, DRC and Rwanda. 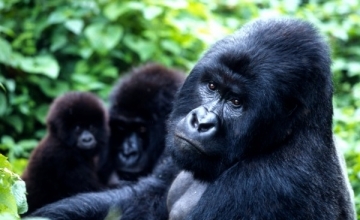 Visit Karisoke research center after breakfast to witness the attempts of the leading gorilla conservationist – Dian Fossey an American Primatologist. 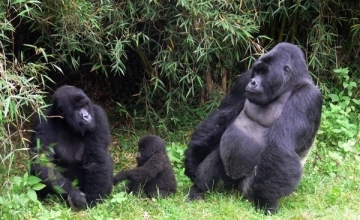 During this visit, you will also visit her grave and that of Digit – her admirable silverback after which you will return to the lodge for lunch and eventual departure for Kigali City 116km about 3 hours’ drive. Arrive in the evening for overnight. Accommodation: Kigali Serena Hotel (Upmarket/luxury), Discover Rwanda Youth Hostel (Budget/basic) or Hotel Chez Lando (Midrange/budget).